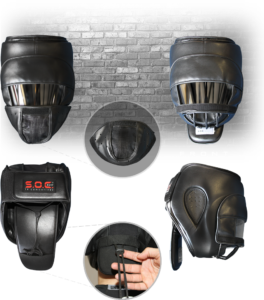 The form-fitting helmet easily adjusts to a comfortable and safer fit with a quick-lace, simple method allowing your to tighten the helmet one-handed with just the use of your thumb. 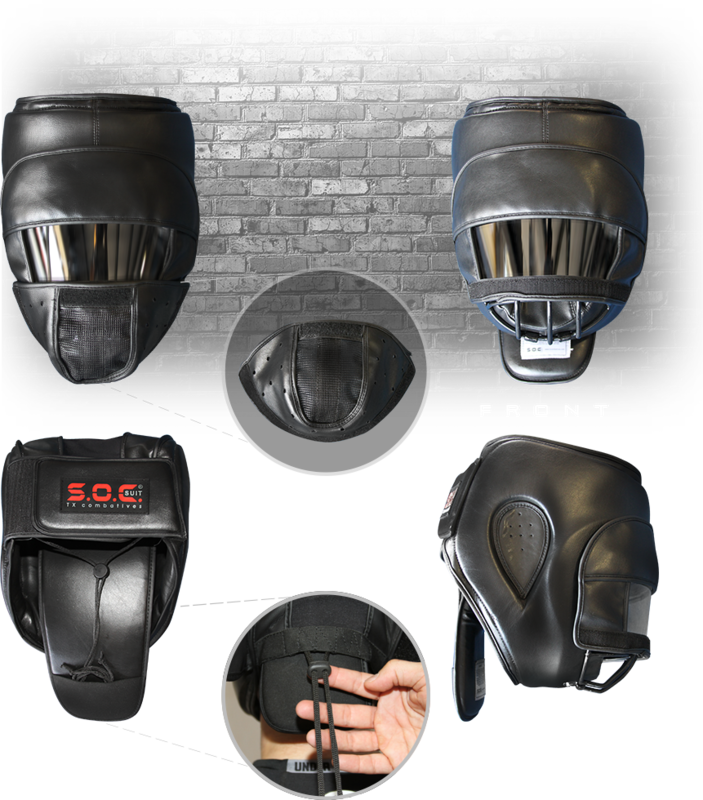 The helmet is made with IXP™ for superior safety and comfort. 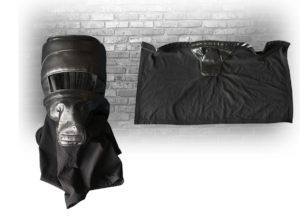 On the front is a clear plastic pocket to hold Opposing Force (OPFOR) identification and/or for running scenarios where you need visual recognition of subjects to differentiate multiple wearers of the SOC® Suit. Also great for labeling suits when storing several at a time. 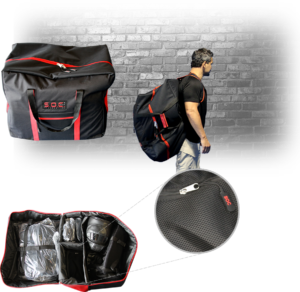 Large Velcro patent pending panel folds down to allow for a second padded accessory to attach for heavy protection in the stomach and lower abdominal area. 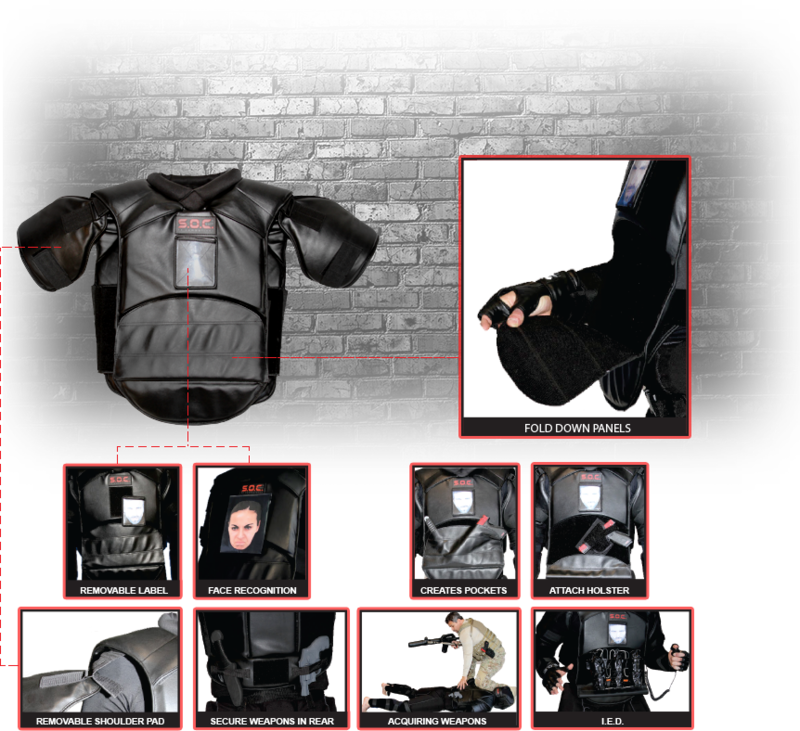 The panel can also be used to attached Scenario IED, hand gun pouch, mag pouch or just to create a pocket. 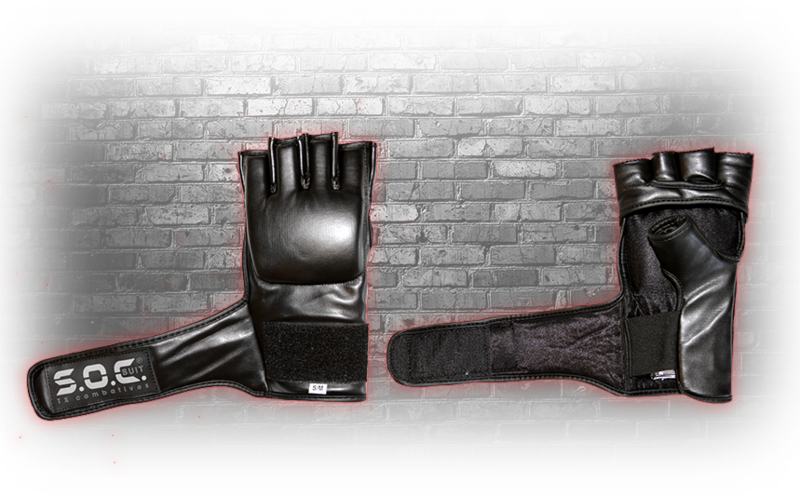 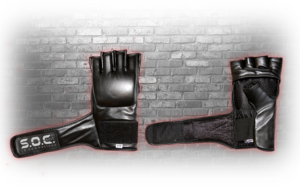 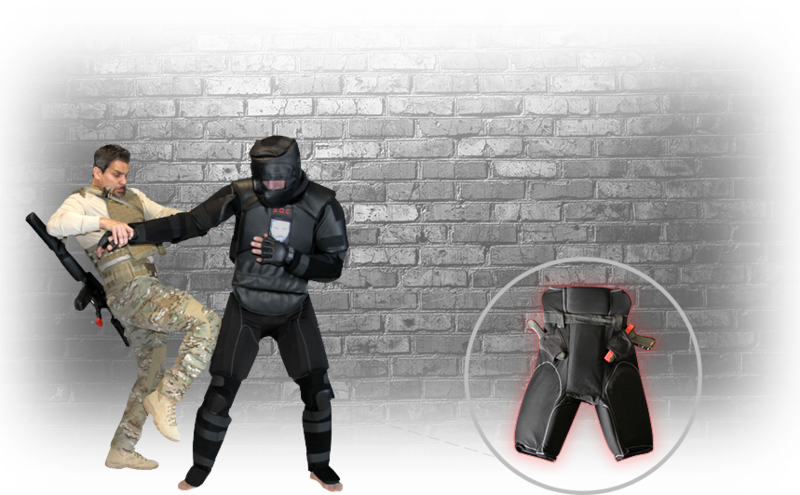 For reinforced protection, the IXPTM padding issued strategically to deflect the impact from hits and strikes during intense training. 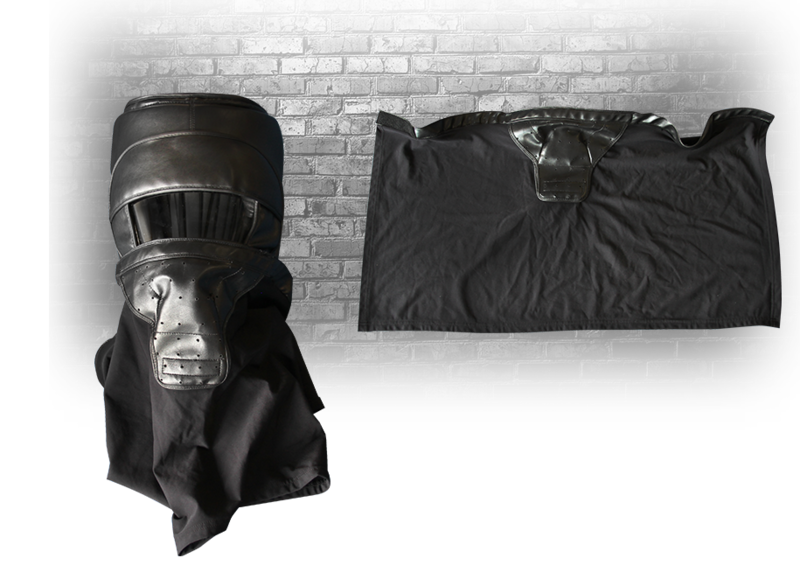 Designed to be easy to clean and may be washed or wiped down. 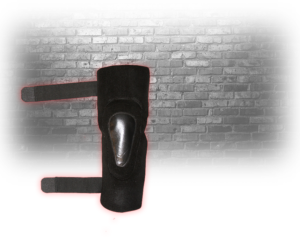 Open palm design allows the user to have full use of hands for grab, holding and weapon transitioning. 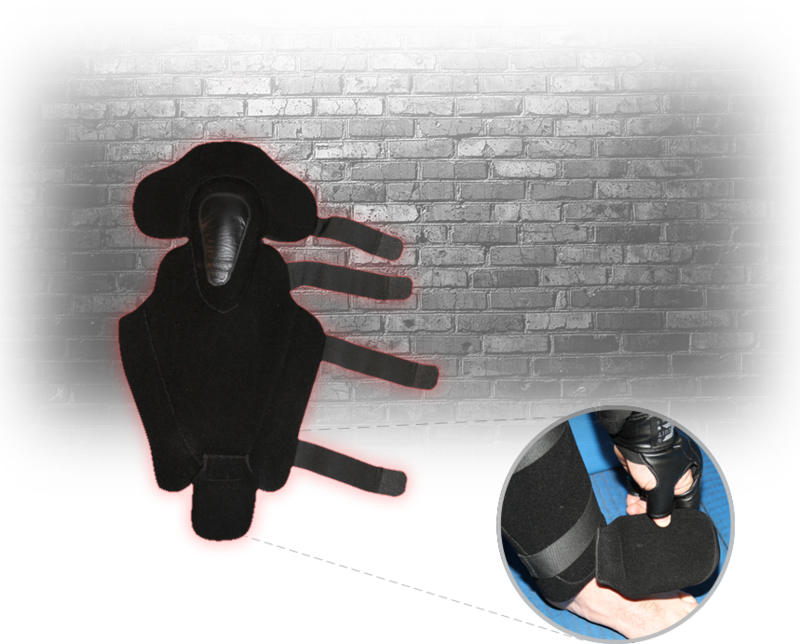 Padding protects the metacarpals and thumbs from impact. 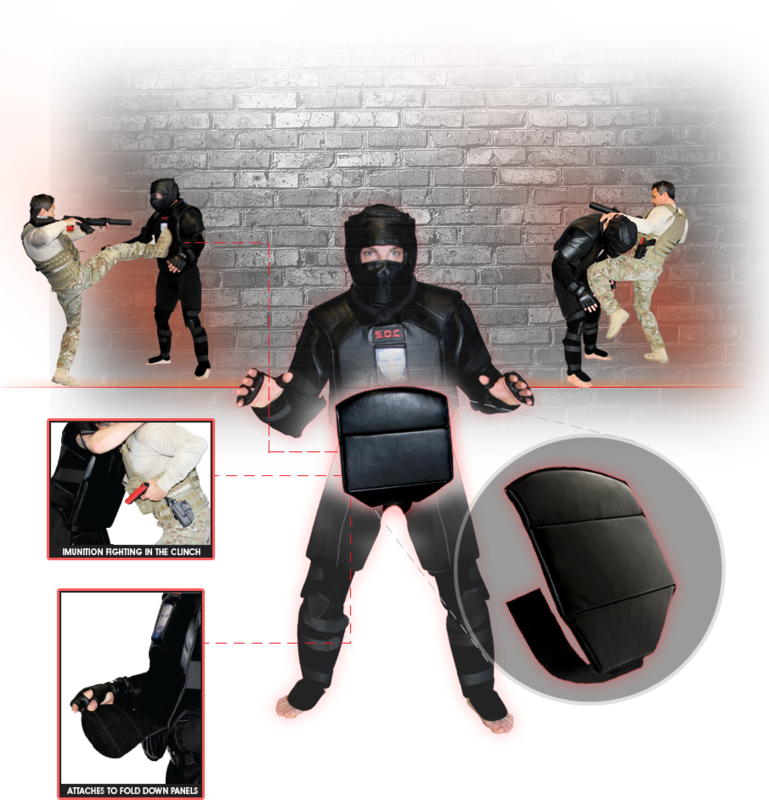 SOC® suit’s patent pending torso panel folds down to allow for the belly pad to attach for heavier protection from intentional or unintentional strikes to the stomach or groin area. 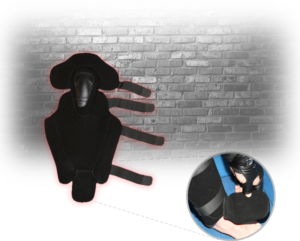 It is also great protection when shooting simunition in the clinch. 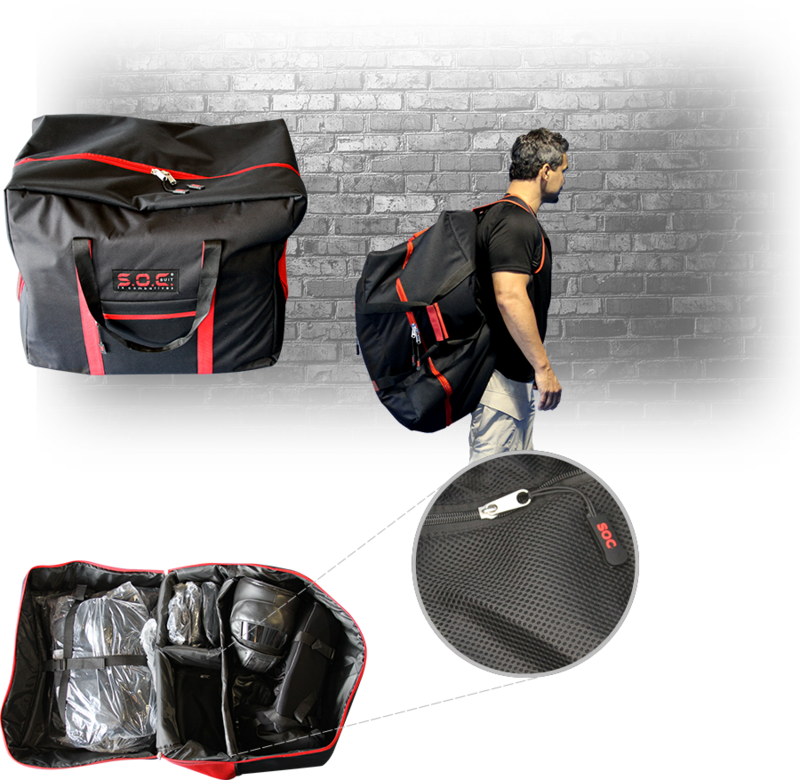 The unique design is quick to apply and easy to clean.